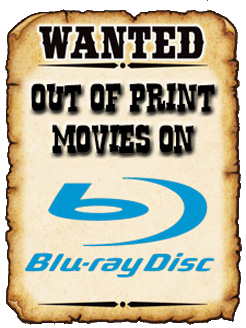 THE B-MOVIE NEWS VAULT: THE GIANT BEHEMOTH Emerges from the Depths of the Warner Archives! THE GIANT BEHEMOTH Emerges from the Depths of the Warner Archives! DIRECTOR EUGENE LOURIE'S CLASSIC MONSTER MOVIE ARRIVES ON BLU-RAY IN THIS ALL NEW RESTORATION! I've always kind of considered THE GIANT BEHEMOTH (aka BEHEMOTH: THE SEA MONSTER) as the unloved younger stepbrother of THE BEAST FROM 20,000 FATHOMS (which was also directed by Lourie). That being said, BEHEMOTH still holds a special place in my heart, as most monster movies do, and I am truly excited to see it newly remastered on Blu-ray disc! Synopsis: As in his classic THE BEAST FROM 20,000 FATHOMS, director Eugene Lourie (GORGO) plunges us into a thrilling stomping ground, unleashing another Thunder Lizard to stomp on everything in sight. Alarming levels of radiation have infused the water, plants, and skies, and a radiated Paleosaurus rises from the ocean depths. In its path: London. In its arsenal: a strength to topple buildings (KING KONG's Willis O'Brien contributes rampaging stop-motion effects), a stride that flattens cars, a flesh-searing radioactive ray and a ticked-off attitude. Left in ruins on land, humankind takes the fight to the beast's undersea realm, where a two-man submarine crew must ensure the torpedo they fire is dead-on. The first chance is all anyone gets with THE GIANT BEHEMOTH. NEW! 2019 REMASTER OF THE FILM! Audio Commentary by SFX veterans Phil Tippett and Dennis Muren! 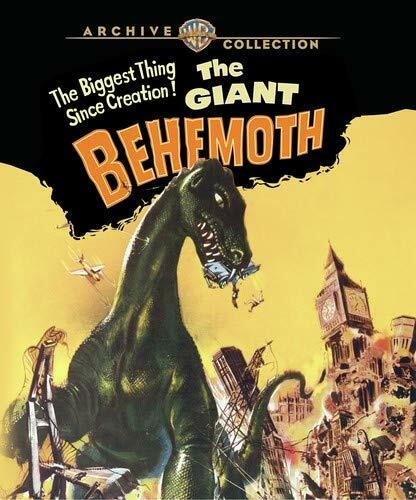 Warner Archives' new Blu of THE GIANT BEHEMOTH is currently available to purchase at AMAZON, BULL MOOSE, or WBSHOP.COM, and should cost between $18 - $22. If you're a fan of classic monster-on-the-loose cinema, you need this in your collection!